Welcome to the November Stamp of the Month Blog Hop! 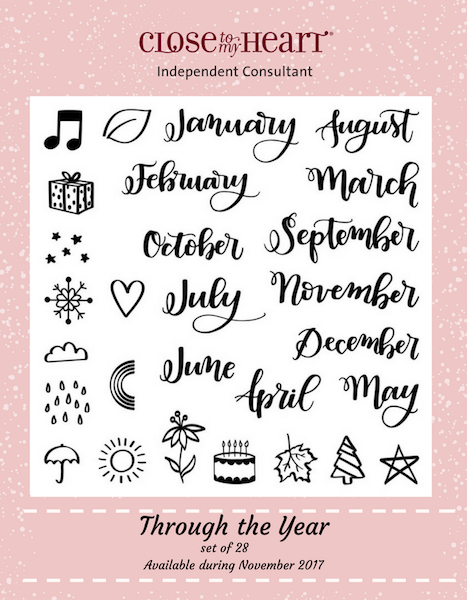 This month we are featuring Through the Year This set has 24 stamps! If you have come here from Krista Hershberger's Blog, you are on the right path! The blog hop is a great big circle, so you can start here and work your way around. If you get lost along the way, you'll find the complete list of participating consultant's HERE. Since Fall is finally arriving here in Middle Tennessee and Thanksgiving right around the corner I thought I would do a "November" page! I used our beautiful Falling For You paper. I created a journaling spot using one of the Picture My Life cards that is included on a page in the paper pack. I stamped "November" and a few leaves. I stamped the leaves on a piece of B&T paper and cut them out. The turkey, pumpkins and the word "Thankful" are all from our new You Are Here Cricut Cartridge! Below is a little closer look! I used a bit of watercolor paint to paint shadows on the pumpkins and added more leaves from the stamp set. I think those really added to the pumpkins! I love this stamp set. 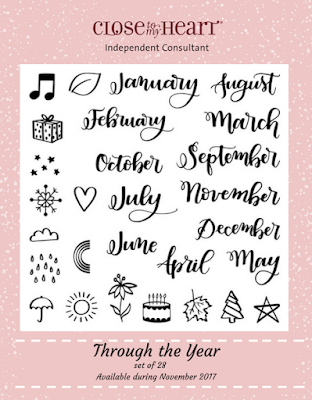 It has so many possibilities for scrapbooking Through The Year! or contact your consultant to order! 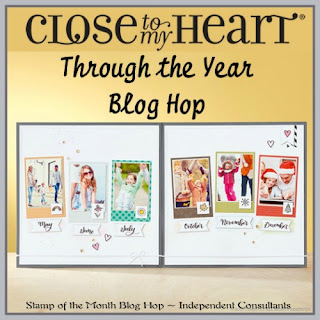 Now it is time to hop over to Michelle Loncar's Blog and see what she has to share! Great layout! Love the turkey and pumpkins!